NEW IN STOCK. 'IBIS WHITE'. HPI CLEAR. DATE OF REGISTRATION: 22/06/2015. 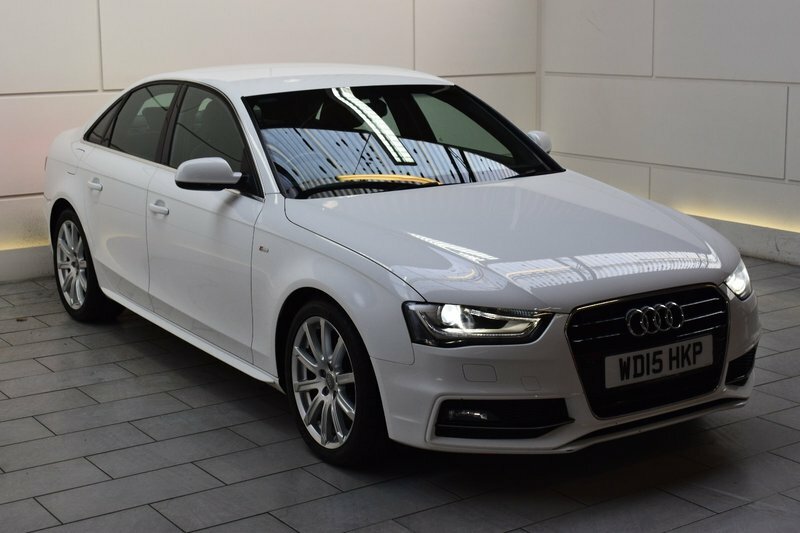 ONLY two registered keepers from new; the vehicle was initially pre-registered by Exeter AUDI Main Dealer and has had the same private owner since. Serviced by AUDI Main Dealer at: 7609 miles, 10314 miles, 19972 miles and 31193 miles. ONLY £20 ROAD TAX. AA Approved Dealer. 12 month AA Breakdown Assistance included. Finance available. Part Exchange Welcome. Visit our website: www.rdmdirect.co.uk to view our latest diversified stock listings.